The regulations covering VAT for vouchers changed in January 2019. The Booksellers Association and Book Tokens have monitored the changes closely to ensure that wherever possible VAT recoverability for BA members selling vouchers (or gift cards) is maximised. While we are unable to give specific VAT advice or confirm that you will definitely not be affected by the changes, we believe, based on the final guidance issued by the UK and Irish regulators, that any VAT related to National Book Token gift cards remains recoverable in the majority if not all cases, and our business model remains the same. We would like to draw booksellers’ attention to specific guidance issued by the UK and Irish regulators. If the voucher can be used on products with different VAT rates then it is likely to be a Multi-Purpose Voucher (MPV), if not it is likely to be a Single Purpose Voucher (SPV). The VAT treatment is different, for an SPV you need to account for VAT when the voucher is sold, whereas for an MPV you account for VAT when it is redeemed. When issuing and redeeming own brand MPVs, it is likely a retailer will be entitled to deduct related input tax because it is attributable to the goods or services supplied (provided they are taxable goods or services, and subject to the normal rules). The sale by a bookseller of a National Book Token, represents the issue of the MPV the consideration for which is disregarded. However, the VAT incurred in doing this is an overhead cost of the retailer issuer because the purpose is to promote sales of its goods or services. If you have any specific concerns or issues relating to this regulation, please contact us and we will try to assist if possible. 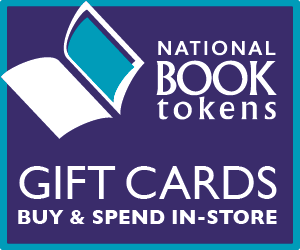 The National Book Tokens eGift card / eVoucher launched in April 2018 and sales are now growing - hopefully your customers are already using them in your bookshop and you are finding them easy to handle. An example eGift was emailed to all booksellers - it includes simple information about how to redeem. In recent years eVouchers have become a significant part of the B2B voucher sector – with many employee benefits companies or rewards programmes now preferring them to gift cards. To ensure that National Book Tokens can continue to sell to employee rewards and benefits programmes, and in turn drive new customers into bookshops, offering eVouchers has become important. Consumers are also turning to E.gift products when time is tight - for instance many are bought on Christmas or Boxing day. So they will allow us to continue to promote bookshops right up until after that importnat gifting occasion. eVouchers are just like gift cards and can be redeemed in store using the same systems. However eVouchers do not have magnetic stripes so will either need to be barcode read or manually keyed into the system. They are usually emailed directly to recipients or employees as part of their benefits or as a reward. Recipients tend to print them out and then present them in store – just like an e-ticket. What will this mean to Bookshops? We anticipate low volumes of National Book Tokens eVouchers for a number of years. In fact we forecast that most bookshops will initially redeem less than one a month. We hope that booksellers will accept the very small inconvenience of occasionally having to key in numbers as it will allow us to continue to grow National Book Tokens and thereby to continue to support the book trade. More information will be circulated over the coming weeks and we will keep all BA members informed about key dates. As of summer 2018 the core range of National Book Tokens gift card designs will be printed on FSC-certified board instead of plastic. This step massively reduces National Book Tokens’ use of plastics. With the festive season over for another year, hundreds of thousands of booklovers around the country have National Book Tokens gift cards burning a hole in their pocket. Will they choose your shop to spend them? We have now withdrawn from sale certain older National Book Token gift card designs. These can no longer be sold or topped-up, but can still be redeemed.